Rajini Kanth's Kochadaiyaan for Diwali ? Superstar Rajini Kanth playing dual roles in the forthcoming film Kochadaiyaan has reached final legs of post-production works. The latest update is that Rajinikanth has finished his dubbing works for the film. period drama film. The film is all about good and bad. Soundarya Rajinikanth is debuting as director in Kollywood with Kochadaiyaan. Aadhi, Shobana, Nassar, Sarath Kumar and Jackie Shroff are essaying key roles in the film. Kochadaiyaan is India's first motion capturing film which has musical scores by AR.Rehman and script penned by KS.Ravi Kumar. Sunil Lulla is producing the film under Eros International and Media One Global Entertainment Banner. 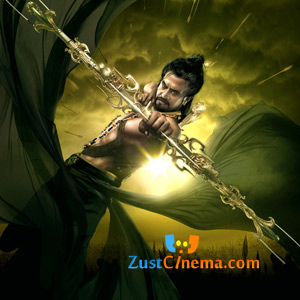 Sources says that Kochadaiyaan will hit the big screens for this Diwali in August.